The Chinese believe that that numbers 6 and 8 are auspicious numbers. The number 6 represents wealth in Cantonese, this number is a homophone for (祿 Lok). 6 in Mandarin is pronounced the same as “liu” and is similar to “flow” (流, liú) and is therefore considered good for business whereas 8 sounds similar to the word which means “prosper” or “wealth” (發 – short for “發財”) in Mandarin. Now you can purchase auspicious and nice sounding numbers from Hoiio for as low as $100. 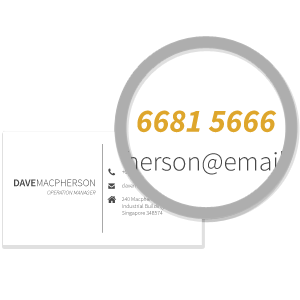 Pick and choose numbers like +65 6871 4000 and +65 66815 666 for your office Main Line! To view the entire list or for more information, send an email to goldennumber@hoiio.com. *We have Golden Numbers for Singapore and Hong Kong lines.